Below you will find real life reviews of the Animas Vibe Insulin Pump, submitted by parents of children with Type 1 Diabetes. Choosing an insulin pump is a big decision and we hope that these reviews will help you to decide which is the right insulin pump for you and your family and hopefully you will also learn more about the features and benefits of the Animas Vibe. How long has your child been using this pump? 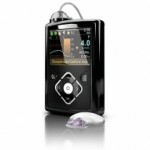 Describe briefly what features you particularly like about the Animas Vibe insulin pump. It’s indestructible! Tiny amounts of insulin, very user friendly, easy to use. Integrated CGM. Can be used with any blood glucose meter. Are there any features that you would like to see added by Animas to this pump? I’m unsure whether a handset would be an asset – it would give my son something else to lose. Is there anything you don’t like about the Animas Vibe pump? It’s sometimes a pain to get the pump out to bolus but with a small boy that’s ok. As he gets bigger he may be self conscious about it. Please give this pump a star rating. 5 stars being excellent. 1 being poor. How long has your child been using the Vibe? 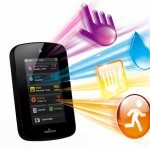 Describe briefly what features you particularly like about the Animas Vibe. Can be used with Dexcom G4 sensors. Are there any features that you would like to see added to this pump? Automatic insulin stop when blood sugar is low. Is there anything you don’t like about this pump? Pump skin has worn out already even though it has been only 6 months in use. 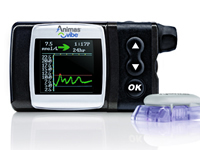 More reviews of the Animas Vibe Insulin pump will be added shortly. If you would like to review this or any other pump please click here to submit a short questionnaire asking you for your thoughts and experiences. Insulin Pump Comparison Guide – An outline of all major pumps currently available, includes features and benefits. 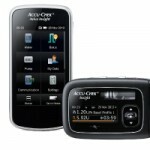 Insulin Pump Reviews – Find user reviews of other Insulin Pump brands. If you’ve found these user reviews of the Animas Vibe useful, don’t forget to sign up to our FREE Children With Type 1 Diabetes Newsletter, for more products reviews, Type 1 news and much more. Just pop your email address in the box below.